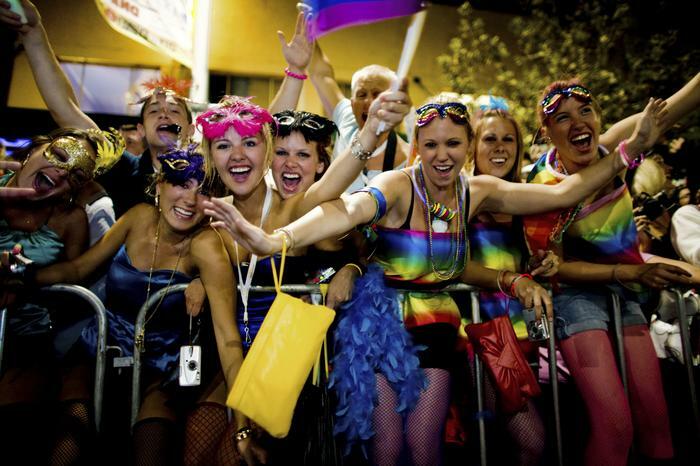 Sydney's Mardi Gras is the highest profile annual event in Australia for members of the country's lesbian, gay, bisexual, transgender, queer and intersex communities. And although the event has its origins as a political protest, and some parade participants still take aim at the inequalities and violence suffered by non-heterosexual people in Australia, it's also big business. 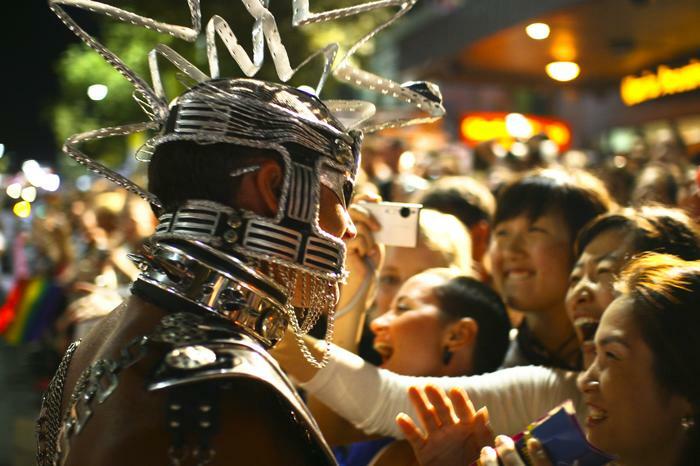 The event brings 23,000 tourists to Sydney, and boosts the local economy by some $30 million — the overwhelming majority of which goes to local businesses, according to the Michael Rolik, the CEO of the non-profit Sydney Gay and Lesbian Mardi Gras (SGLMG), which organises the parade and supporting events. As you would expect, IT plays an important role by providing the tools necessary for organising something on the scale of the Mardi Gras. Sydney Gay and Lesbian Mardi Gras not only has to deal with tight budgets, Rolik says, it also faces many of the usual IT challenges common to organisations in the not-for-profit space, which can be exacerbated by the elastic size of the organisation's workforce. "We're quite a small operation," Rolik explains. "Outside of the Mardi Gras festival, we're about six staff, but also quite a number of different volunteer teams that come into the office in the evenings to produce work. "And then as we lead into the [parade] season, both the staffing and the volunteer teams grow quite significantly — three to four, five times." The nature of Mardi Gras means that volunteers play a vital role, but their numbers and composition vary depending on the time of year. "If you take the parade, for instance, which has about 1600 volunteers that help make it happen, we need to brief them, we need to train them, we need to register those people very similar to like Olympic Games, with a volunteer cast, and so we use systems to manage that." To manage this SGLMG created its own online-based volunteer system. At the events themselves, the Mardi Gras team has to deal with guest services and ticketing management, although in most cases the infrastructure is provided by venues. In the past, volunteers have tended to work on their own PCs or laptops. This created a chaotic situation where SGLMG's fulltime staff would not infrequently be left chasing up documents and having to reconcile inconsistencies. SGLMG also relied heavily on in-house hardware — despite the organisation itself having an IT head count of zero. There's a volunteer IT team, Rolik says, but fixing IT problems in the past relied on the volunteers being able to take time out from their own work. To deal with both issues, the SGLMG embraced managed services and rolled out cloud-based virtualised desktops. The services are delivered by hosting company Aptira, from its co-location facilities in one of Equinix's Sydney data centres. The new system has been used by SGLMG for close to a year and a half now. "[The virtual desktops] can be where [volunteers] are according to their availability and their needs and we're all working off the one system," Rolik says. Switching to streamed virtual desktops "has just been great in terms of keeping IP [intellectual property] in the organisation, and also [in] the management of the events". The solution can be scaled, as more staff are brought on board during parade season. The transition was "fairly smooth". "Now regardless of what [platform] you prefer to work in, whether you're a Mac person or a PC person, whether you've got your own laptop or equipment [or not], you can access [the same virtual desktop setup]," Rolik says. "As a CEO, I do a lot of travel and obviously with the Internet and increasingly better bandwidth, I can just be online and [work] anywhere, and it's the same with the volunteer teams and my staff." The new setup also has benefits when it comes to disaster recovery, Rolik says. "In some ways it's reassuring to know that if something happened in this building that we wouldn't lose anything. The IT team were doing backup tapes but just having that extra level of security and the ability to recover quickly... So, god forbid, this building, if the roof caved in or something like that, we could very quickly move across the road or anywhere and we could just be up and running." The switch to managed services in general has been great for the organisation, Rolik says. "We got to the point of absolute frustration and the pain got so bad in terms of those [in-house] servers not working. I can recall last year or the year before, before we engaged Aptira, that there must have been maybe three weeks to a month's work of lost productivity when you calculate it out. "A day down here, two days down here, constant things and you multiply it out by everybody that's affected. It was highly frustrating; it affected morale. The pain just became too great and we had to change."